A lot of you hated Drive. Not me. I loved it. At its release Gosling and director Nicholas Winding Refn talked about how they stripped Hossein Amini's screenplay - based on James Sallis novel - down to its barest bones. This time around Amini, who also penned the adaptations for Snow White and The Huntsman, 47 Ronin and the screen version of John LeCarre's Our Kind of Traitor filming now, got a director more respectful of his words. Himself. 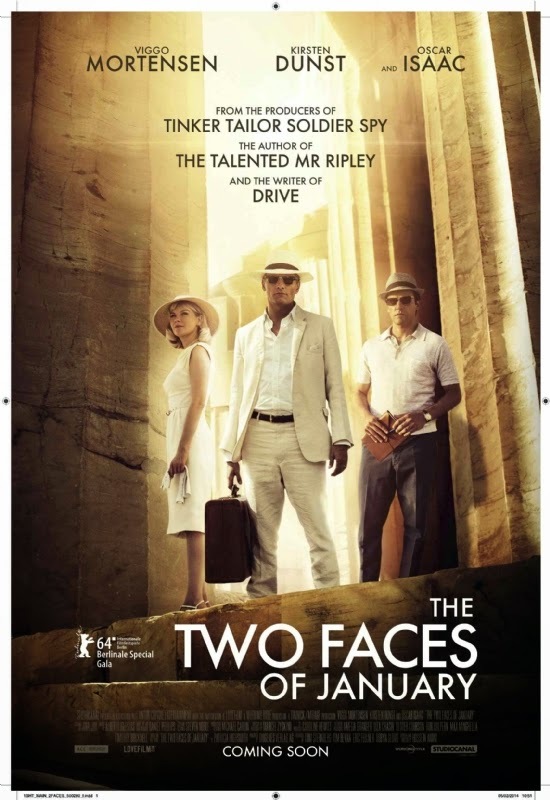 The Two Faces of January marks Amini's feature film directorial debut. 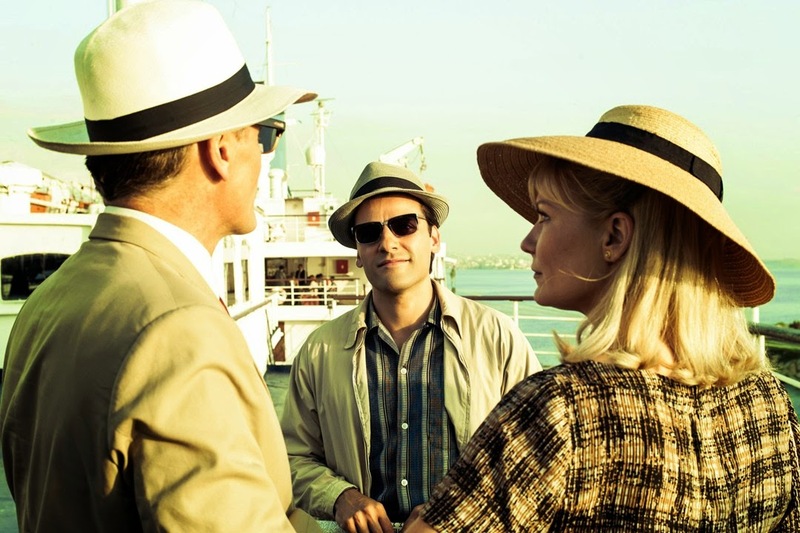 Set in Greece in the summer of '62, The Two Faces of January, adapted and directed by Hossein Amini, is based on the book by the brilliant Patricia Highsmith (The Talented Mr. Ripley, Carol) and has just been released in Ireland and the U.K. 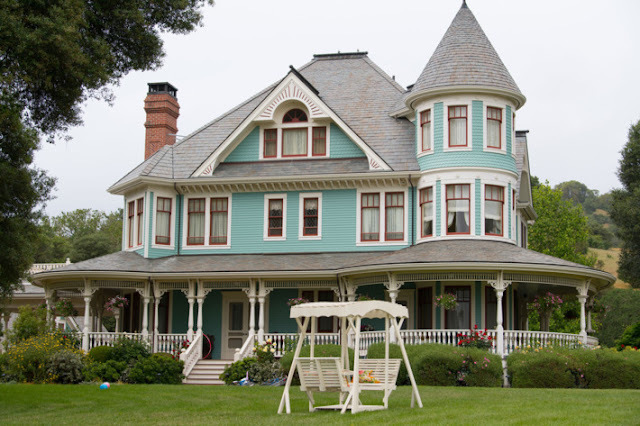 The film plays the San Francisco Film Festival next week and screens at the LA Film Festival in June. 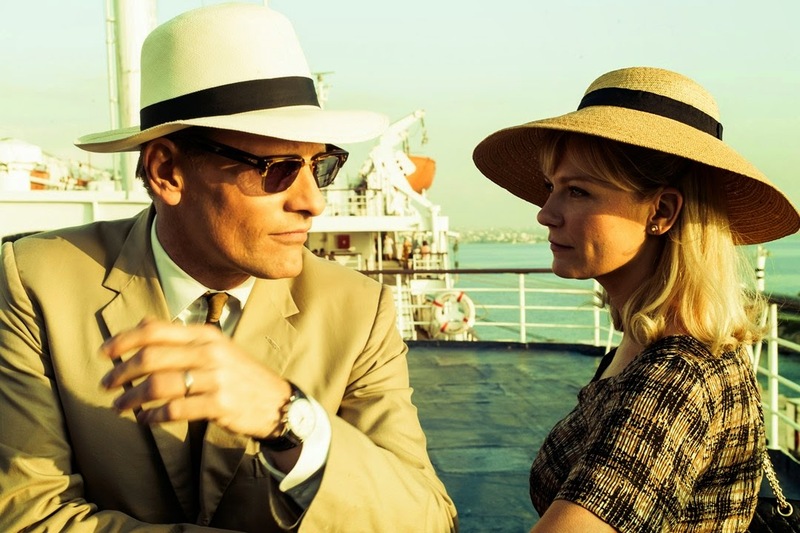 Kirsten Dunst, Viggo Mortensen and Oscar Isaac star in the drama about Chester and Colette McFarland, a con artist and his wife who who enlist the help of a seductive stranger after getting involved in the murder of a Greek police officer. Sounds great but the deal is, it looks great too. Oscar Isaac, the seductive stranger who we last saw in Inside Llewyn Davis, appears to turn in another great turn. The actor looks different every time we see him, a physical manifestation of the character he's channeling. The costumes in this period piece were designed by Stephen Noble (Train Spotting, Never Let Me Go); Vogue shared some images of the vintage wardrobe Noble put together. He made it plain he's a fan of Dunst. 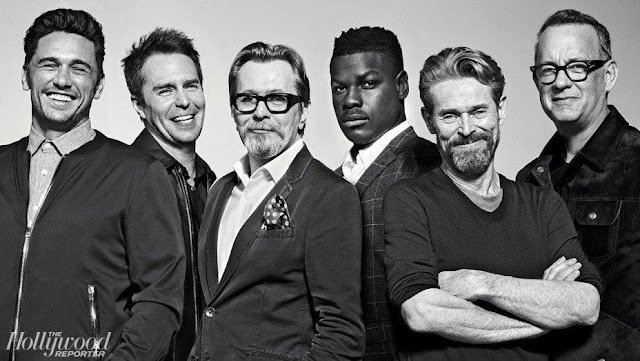 "It was a joy to work with all three actors, but I really bonded especially well with Kirsten in our first costume fitting at Elstree Studios," Noble told us. "I called in vintage clothes from around the world and made the fitting room look like a vintage Aladdin's cave, and we spent many hours trying on shapes and silhouettes and choosing fabrics. Most actors do have an input as well as the director as to how they see their character and they develop this over the prep time, and this of course includes discussions with me about what they think their character would and wouldn't wear." Let's see what she wears! And check out the Vogue piece for missing details. Don't forget the trailer all the way down at the bottom. From the first photo I figured the look of this movie would be a huge draw. Always glad to see Viggo Mortensen again too. Moi aussi, Paulita, moi aussi.